I hadn’t made lavender shortbread in years and this was a great year for two lavenders that edge my front porch. 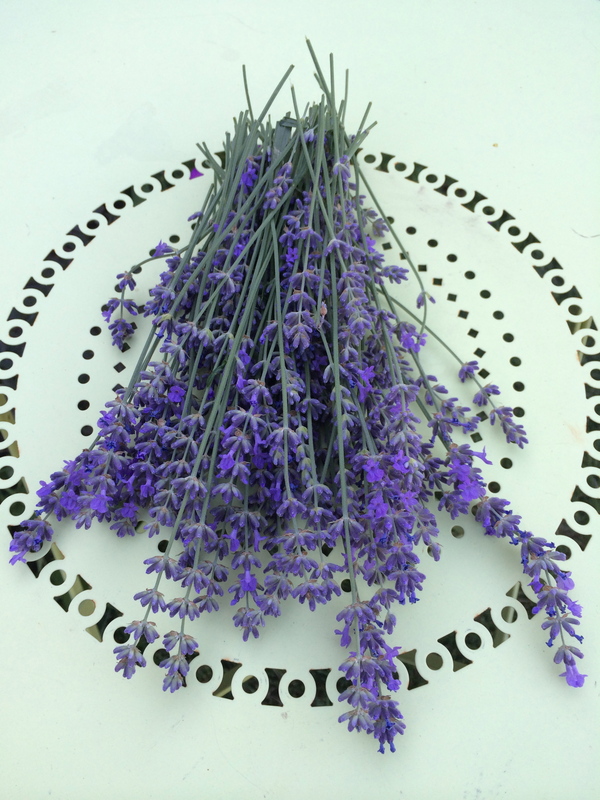 After harvesting some for the lavender shrub post, I decided to try a simple recipe from renown pastry chef, Gale Gand. I think this could be a perfect base recipe for shortbread and plan to try it with pistachios soon. Cream the butter until soft in a mixer fitted with a paddle attachment. Add 1/4 cup sugar and mix until incorporated. Stir together the flour, cornstarch, and salt in a medium bowl. Add the dry ingredients to the butter mixture and mix at low speed just until the ingredients are almost incorporated, then add the lavender, and mix until the dough starts to come together. Flour a work surface, turn the dough onto it, and knead it 5 to 10 times, to bring the dough together and smooth it out. Reflour the work surface. With a rolling pin, roll the dough out to a little less than 1/4-inch thick to fit an 8 by 8-inch square baking pan lined with parchment. To transfer to the pan, roll the dough up onto the rolling pin, lift it up, and unroll into the pan. (Or, press the dough thoroughly into the pan with your fingers.) Prick the shortbread all over with a fork, or use a pique-vite (dough docker) if you’ve got one, to prevent any buckling or shrinking. Sprinkle the surface evenly with 1 tablespoon of the remaining sugar. Bake for 15 minutes. After 15 minutes, deflate the dough by knocking the pan once against the oven rack then rotate the pan to ensure even cooking and a flat surface. Bake 10 to 15 minutes more, until golden all over and very lightly browned. As soon as it comes out of the oven, sprinkle the surface evenly with the remaining tablespoon of sugar. Let cool about 5 minutes. Using a very sharp knife, cut into 3 rows by 5 rows making about 1 1/2-inch by 3-inch bars. Let cool completely in the pan. Remove from the pan and store in an airtight container for up to 1 week.